NO.245 OF 2014 COMMON CAUSE : A REGISTERED SOCIETY . Vs. UNION OF INDIA . Petitioner: NO.245 OF 2014 COMMON CAUSE : A REGISTERED SOCIETY . 1. Writ Petition (Civil) No.245 of 2014 has been filed seeking a declaration that Rule 10(1) and Rule 10(4)(i) of the Search Committee (Constitution, Terms and Conditions of Appointment of Members and the Manner of Selection of Panel of Names for Appointment of Chairperson and Members of Lokpal) Rules, 2014 (hereinafter referred to as the “Search Committee Rules”) framed under the provisions of the Lokpal and Lokayuktas Act, 2013 (hereinafter referred to as “the Act”) are ultra vires and for a further direction to restrain the initiation of any process of selection for appointment of Chairperson and Members of the Lokpal under the provisions of the aforesaid Search Committee Rules. Sub-rule (4) of Rule 10 of the Search Committee Rules has also been since deleted. 3. Notwithstanding the above, it is urged on behalf of the writ petitioner that the provisions of the Act are yet to be implemented and the Selection Committee/Search Committee under the Act are yet to be constituted so as to further the appointment of the Chairperson and Members of the Lokpal. 4. As in the connected case i.e. Writ Petition No.673 of 2015 filed by Youth for Equality the prayers made are precisely to the above effect, we have permitted the learned counsel for the writ petitioner in Writ Petition (Civil) No.245 of 2014 to address the Court on the aforesaid issue also. 5. The reliefs sought in Transferred Case No.109 of 2015 and in Transferred Case arising out of Transfer Petition (Civil) No.1264 of 2014 are same and similar to those made in Writ Petition (Civil) No.245 of 2014. 6. Shri Shanti Bhushan, learned Senior Counsel, who has advanced the lead arguments, has submitted that the Act had been brought into force on 16th January, 2014 by a notification issued in the Official Gazette by the Government of India. Despite efflux of a long period of time the provisions of the Act have not been implemented. It is argued that though the version of the official respondents is that certain provisions of the Act need to be altered to make the provisions thereof workable in a meaningful manner, the very fact that the Amendment Bill [Lokpal and Lokayuktas and Other Related Law (Amendment) Bill, 2014] has been gathering dust from the date of its introduction in the Parliament (18th December, 2014) would sufficiently demonstrate the lack of executive/legislative will to give effect to a salutary enactment en-grafting a vital requirement of democratic functioning of the Government, namely, accountability of the political executive and those in high echelons of public office, to an independent body i.e. Lokpal. Shri Shanti Bhushan has also urged that incongruities, inconsistencies and inadequacies in the Act as perceived by the respondents are primarily with regard to the absence of a Leader of Opposition in the present House of People/Lok Sabha (hereinafter referred to as “LOP”) who is also to act as a Member of the Selection Committee under Section 4 of the Act. This, according to Shri Bhushan, is a pretence and/or sham inasmuch as by Section 2 of the Salary and Allowances of Leaders of Opposition in Parliament Act, 1977 (hereinafter referred to as “the 1977 Act”) the term ‘Leader of the Opposition” is defined to mean as under: “2. Definition.- In this Act, “Leader of the Opposition”, in relation to either House of Parliament, means that member of the Council of States or the House of the People, as the case may be, who is, for the time being, the Leader in that House of the Party in opposition to the Government having the greatest numerical strength and recognised as such by the Chairman of the Council of States or the Speaker of the House of the People, as the case may be. Explanation.– Where there are two or more parties in opposition to the Government, in the Council of States or in the House of the People having the same numerical strength, the Chairman of the Council of States or the Speaker of the House of the People, as the case may be, shall, having regard to the status of the parties, recognise any one of the Leaders of such parties as the Leader of the Opposition for the purposes of this section and such recognition shall be final and conclusive. Shri Bhushan submits that the aforesaid provision could have been easily adopted by the Government of India to clarify the situation in the event any ambiguity is felt. Shri Bhushan has specifically pointed out to the Court the provisions of Section 62 of the Act which enables the Government of India to so act. As such an exercise was not undertaken within a period of two years as required, the time frame therefor, is now over. Shri Bhushan has pointed out that for reasons which are not known, the respondents are not interested in implementing the provisions of the Act. Therefore, necessary directions should be issued by the Court and appropriate orders need to be passed. 7. Supporting the arguments made by Shri Shanti Bhushan, Shri Gopal Sankaranarayana, learned counsel for the writ petitioners in Writ Petition (Civil) No.673 of 2015 has drawn the attention of the Court to the relevant provisions of the other statutes, namely, Right to Information Act, 2005, Central Vigilance Commission Act, 2003, etc. to point out that in all the aforesaid statutes it has been provided that in case there is no LOP available, it is the Leader of the Party in Opposition to the Government, which has the greatest strength of Members, who is deemed to be the Leader of the Opposition. It is also pointed out by the learned counsel that under Section 4(2) of the Act the appointment of the Chairperson or a Member of the Lokpal shall not be invalid merely on account of any vacancy in the Selection Committee. It is, therefore, urged that even in the absence of the LOP it is open for the Selection Committee to proceed with the constitution of the Search Committee. Same would be the position with regard to the appointment of the eminent jurist who is required to be appointed as a Member of the Selection Committee by the other Members of the Selection Committee enumerated under Section 4(1)(a) to (d) of the Act. The absence of the LOP, therefore, need not detain the constitution of the Selection Committee and the discharge of functions by the Committee. 9. It is further argued by the learned counsel that as legislative action is not forthcoming to give effect to the provisions of the Amending Bill, this Court should read down the provisions of Section 4(1)(c) of the Act to understand that the LOP mentioned in the said provisions of the Act means the leader of the single largest opposition party in either House of Parliament. Reading down of the provisions of the statute, in the above manner, would be justified to give effect to the statute. In this regard, reliance has been placed on the following observations contained in paragraph 26 and 46 of the decision of this Court in Vipulbhai M. Choudhary vs. Gujarat Coop. Milk Mktg. Federation Ltd. which are extracted below: “26. Where the Constitution has conceived a particular structure on certain institutions, the legislative bodies are bound to mould the statutes accordingly. Despite the constitutional mandate, if the legislative body concerned does not carry out the required structural changes in the statutes, then, it is the duty of the court to provide the statute with the meaning as per the Constitution. “The job of the Supreme Court is not to expound the meaning of the constitution but to provide it with meaning”[Walter Berns, ‘Government by lawyers and judges’, Commentary, June,1987, 18.] The reference obviously is to United States Supreme Court. As a general rule of interpretation, no doubt, nothing is to be added to or taken from a statute. However, when there are adequate grounds to justify an inference, it is the bounden duty of the court to do so. “It is a corollary to the general rule of literal construction that nothing is to be added to or taken from a statue unless there are adequate grounds to justify the inference that the legislature intended something which it omitted to express”[Maxwell on The Interpretation of Statues (12th Edn.) 33.]. “…It is a strong thing to read into an Act or Parliament words, which are not there, and in the absence of clear necessity, it is wrong to do”. In the case of cooperative societies, after the Ninety Seventh Amendment, it has become a clear or strong necessity to do the strong thing of reading into the legislation, the constitutional mandate of the cooperative societies to be governed as democratic institutions. 11. Shri Rohatgi has submitted that the provisions of the 1977 Act cannot, by itself, constitute to be a part of the Act in question. It is submitted that the implementation of the provisions of the Act was attempted but certain difficulties arising from some inadequate and inconsistent provisions thereof came to the fore which necessitated the Amendment Bill. Referring to the Bill, the learned Attorney General has submitted that the Bill seeks to comprehensively amend different provisions of the Act to facilitate the smooth working of the institution brought into force under the Act. 13. The Amendment Bill was referred to the Parliamentary Standing Committee on 25th December, 2014 after it was introduced in the Lok Sabha on 18th December, 2014. Thereafter, on 3rd December, 2015, the report of the Parliamentary Standing Committee was submitted. The following extract from the report would indicate the relevant Sections in respect of which amendments have been proposed and the extent thereof. 14. From the above, it is clear that Amendment Bill seeks the inclusion of Leader of the largest Opposition Party in Lok Sabha in the Selection Committee, in lieu of LOP. The proposed amendments also seek to limit the tenure of the eminent jurist, as a Member of the Selection Committee. There is also an explicit recital of the fact that the absence of any Member of the Selection Committee (or a vacancy in the post of any Member) will not invalidate the recommendations of the Selection Committee for appointment of the Chairperson or Member of the Lokpal or the appointment of the eminent jurist. Similarly, appointment of a Member of the Search Committee or the proceedings of the said Committee will not be invalid by reason of either the absence of a Member of the Search Committee or a vacancy in the Selection Committee. The other provisions of the Act relate to certain incidental matters under the Act, like, rank of Secretary to the Lokpal; rank of Director of Inquiry and Director of Prosecution of Lokpal; disclosure of assets and liabilities by public servants; seat of Lokpal; eligibility criteria for appointment of Director of Prosecution; and the provisions relating to resolution of difference(s) of opinion between the Director and the Director of Prosecution of CBI. 15. While the Parliamentary Standing Committee had made various recommendations in respect of the proposed amendments, so far as the amendment relating to substitution of the LOP by the Leader of the single largest opposition party in the Lok Sabha is concerned, the Parliamentary Standing Committee had approved the proposed amendment. Insofar as the discharge of functions by the Search/Selection Committee in a situation where there exits a vacancy, the Parliamentary Standing Committee is of the view that the Search/Selection Committee should not take any decision unless the vacancy in the Search/Selection Committee is filled up. Rather, it is suggested that provisions should be made in the Amendment Bill for filling up such vacancy/vacancies at the earliest. The rest of the recommendations of the Committee would not be very material to decide the question arising in view of the very nature of the subjects to which the same relate, which would be evident from a cursory glance of the subjects delineated above in the Chart extracted from the report of the Parliamentary Standing Committee. 16. As noticed, the report of the Parliamentary Standing Committee is dated 3rd December, 2015. In the hearing of the cases that took place on 28th March, 2017, Shri Mukul Rohatgi, learned Attorney General for India has submitted that at present the report of the Parliamentary Standing Committee is under scrutiny of the Government and it is possible that the same may be taken up for consideration by Parliament in the Monsoon Session of the current year. Relying on several pronouncements of this Court, Shri Rohatgi has submitted that there can be no direction to the Legislature to frame any law or to amend the existing law or to complete a legislative exercise within any time frame. As there can be no serious dispute on the above proposition(s) of law it will not be necessary to burden this order with a detailed reference to the judgments relied on except to refer, illustratively, to the judgment of this Court in Common Cause vs. Union of India & Ors..
17. There can be no manner of doubt that the Parliamentary wisdom of seeking changes in an existing law by means of an amendment lies within the exclusive domain of the legislature and it is not the province of the Court to express any opinion on the exercise of the legislative prerogative in this regard. The framing of the Amendment Bill; reference of the same to the Parliamentary Standing Committee; the consideration thereof by the said Committee; the report prepared alongwith further steps that are required to be taken and the time frame thereof are essential legislative functions which should not be ordinarily subjected to interference or intervention of the Court. 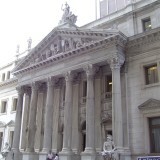 The constitutional doctrine of separation of powers and the demarcation of the respective jurisdiction of the Executive, the Legislature and the Judiciary under the constitutional framework would lead the Court to the conclusion that the exercise of the amendment of the Act, which is presently underway, must be allowed to be completed without any intervention of the Court. Any other view and any interference, at this juncture, would negate the basic constitutional principle that the Legislature is supreme in the sphere of law making. Reading down a statute to make it workable in a situation where an exercise of amendment of the law is pending will not be justified either. A perception, however, strong of the imminent need of the law en-grafted in the Act and its beneficial effects on the citizenry of a democratic country, by itself, will not permit the Court to overstep its jurisdiction. Judicial discipline must caution the Court against such an approach. (e) one eminent jurist, as recommended by the Chairperson and members referred to in clauses (a) to (d) above, to be nominated by the President “ Member. Sub-section (2) of Section 4 makes it clear that the appointment of Chairperson or a Member of the Lokpal will not become invalid merely because of the reason of any vacancy in the Selection Committee. If, at present, the LOP is not available, surely, the Chairperson and the other two Members of the Selection Committee, namely, the Speaker of the Lok Sabha and the Chief Justice of India or his nominee may proceed to appoint an eminent jurist as a Member of the Selection Committee under Section 4(1)(e) of the Act. We also do not see any legal disability in a truncated Selection Committee to constitute a Search Committee for preparing a panel of persons for consideration for appointment as the Chairperson and Members of the Lokpal and also for such a truncated Selection Committee to make recommendations to the President of India for appointment of the Chairperson and Members of the Lokpal. True, there is no specific provision akin to sub-section (2) of Section 4 of the Act insofar as the constitution of the Search Committee by a truncated Selection Committee is concerned. 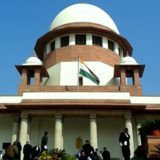 But the absence of such a provision, by itself, will not invalidate the constitution of the Search Committee by the truncated Selection Committee when the Act specifically “empowers” a truncated Selection Committee to make recommendations for appointment of the Chairperson or Members of the Lokpal. To hold otherwise would be self contradictory. The amendment to Section 4(3), as proposed, would, therefore, be clarificatory and will not amount to an attempt to cure a shortcoming in the Act which is proving to be an inhibition in law to the appointment of the Chairperson/ Members of the Lokpal. The view of the Parliamentary Standing Committee with regard to the expediency of the Search/Selection Committee taking decisions when vacancy/vacancies exists/exist is merely an opinion with which the Executive, in the first instance, has to consider and, thereafter, the legislature has to approve. The said opinion of the Parliamentary Standing Committee would therefore not be sacrosanct. The same, in any case, does not have any material bearing on the validity of the existing provisions of the Act. 20. A consideration of the other provisions of the Act in respect of which amendments have been proposed, as indicated in the Chart extracted above, and the views of the Parliamentary Standing Committee in this regard which are available in its report, in our considered view, are attempts at streamlining the working of the Act and in no way constitute legal hindrances or bars to the enforcement of the provisions of the Act as it stands today. In this regard, all that the Court would like to say and observe is that such attempts at achieving better results in the working of any statute is a perpetual and ongoing exercise dictated by the experiences gained on the working of the act. Such attempts cannot halt the operation and execution of the law which the Executive in its wisdom has already given effect to and has brought into force by resorting to the provisions of Section 1(4) of the Act. 21. At this stage it may not be out of context to notice the stated objects and reasons for the Legislation which highlights its unique character and importance in the contemporary world. “The need to have a legislation for Lokpal has been felt for the quite some time. In its interim report on the ‘Problems of Redressal of Citizen’s Grievances’, submitted in 1966, the Administrative Reforms Commission, inter alia, recommended the setting up of an institution of Lokpal at the Centre. To give effect to this recommendation of the Administrative Reforms Commission, eight Bills on Lokpal were introduced in the Loka Sabha in the past. However, these Bills had lapsed consequent upon the dissolution of the respective Loka Sabha; except in the case of 1985 bill, which was subsequently withdrawn after its introduction. 22. We, therefore, conclude by quoting Justice Krishna Iyer In Reference, the Special Courts Bill, 1978 and holding that the Act as it stands today is an eminently workable piece of legislation and there is no justification to keep the enforcement of the Act under suspension till the amendments, as proposed, are carried out. 23. For the aforesaid reasons, the writ petitions and the transferred cases shall stand allowed as indicated above.